It's MARCH!! It's spring!!! Here's what we did this week and some FREEBIES for you, perfect for this time of year! During their playtime, I quickly put out as many book making materials as I could find (such as scrap paper and staplers, etc.) and let them go. Voila! I suddenly had ten kids all excited about writing their own story books, and begging for a turn to read them to the class as well! The worst thing about it was getting them to stop when playtime was over, since many of them were still in the middle of their creations when it was time to stop. In years past when this type of thing has happened, I learned to give them a five minute warning that it would be time to stop, and I had to pull that technique back out of my pocket to make the transition a little easier. 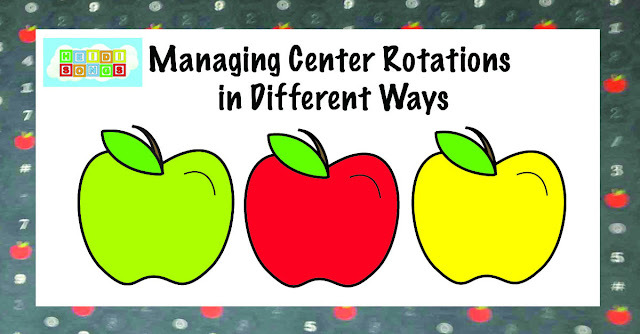 Here are a few other things that I have been doing to make this time a little easier to manage for me in the classroom. 1. Give them lots pieces of paper pre-cut into small sizes (like 6” x 3”) rather than a bunch of full sheets of paper. Full sheets mean very large books, and the consumption of LOTS of classroom supplies. That’s bad news if you have to stick to a budget. 2. Have volunteers (if you have any!) pre-staple some little books together for children to write in if you don’t have time for (or can’t handle) a big mess on a certain day. Then the book making can go on, minus the mess. It’s not as motivational without the cutting and gluing for decorations, but it will suffice. 3. 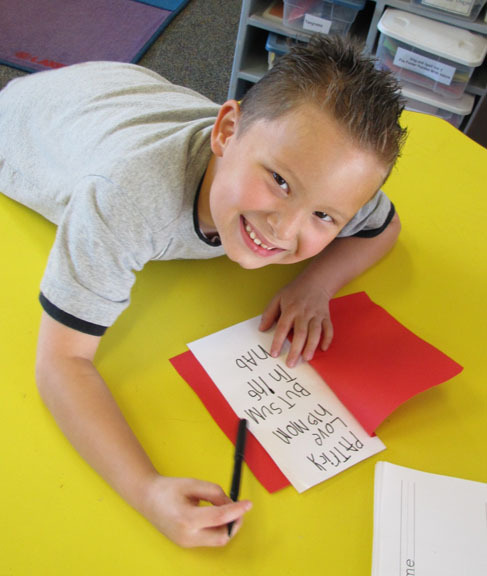 Consider giving the kids some little blank books to make during a small group rotation time to get those who are not choosing this at playtime involved in the process. I have also been working on making up songs for this set of flash cards, and we are just about finished recording them! I should have that CD out by the summer time. I just need to give it a test drive in my classroom first to make sure that everything in there teaches what I want it to teach without any problems. So far, the kids are LOVING the songs! And those letter combinations are popping up all over their writing, and lots of the kids are recognizing those sounds in their writing as well. So it’s all good! Of course, March is leprechaun month, considering Saint Patrick’s Day is coming on the 17th. 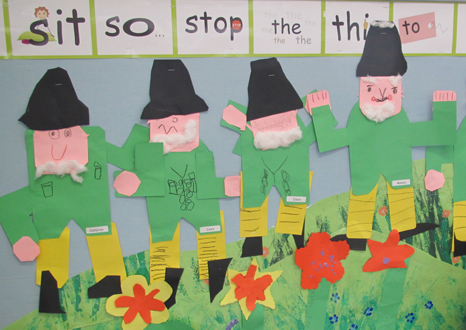 We started reading books about leprechauns last week. 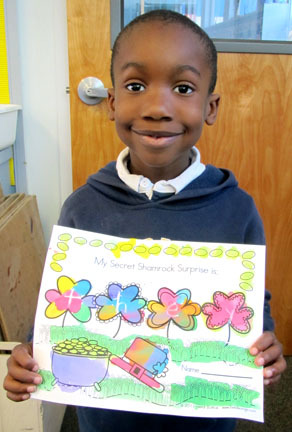 One of my students asked, “Are leprechauns real?” I never quite know how to answer questions like these in regards to Santa Claus, the Easter Bunny, and so on. But my standard response is usually, “Well, some people believe in them and some people don’t. So it’s really up to you if you choose to believe!” One of my little ones cried out, “Well, not in MY world!” That really gave me a chuckle. So cute! I wanted to say, “Not in my world either!” but just I bit my tongue and just smiled. 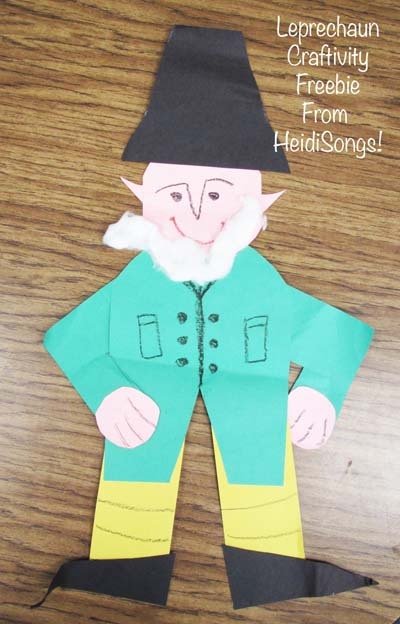 Today I am giving you a free download of the patterns for the leprechaun that we make each year to decorate our classroom in March. This is a two day project for us, because it is too time consuming for the kids to do all in one day, at least in my opinion. Update: (Feb. 19, 2015:) We animated this cute little Leprechaun into our Green Song that is on our Colors and Shapes DVD! Check this out- it's SO much fun! 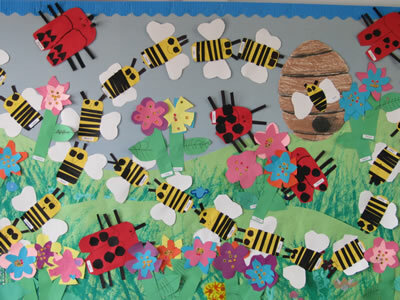 I always make these flowers every year to decorate my classroom, and put them around the insects that I gave you last week. 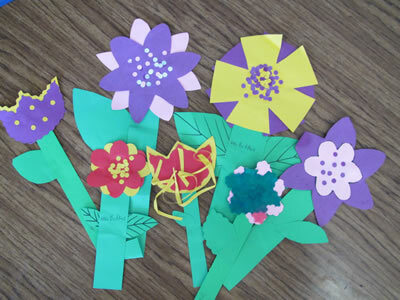 When my class makes these flowers, I provide a whole bunch of tracers cut out of old file folders and let them choose which type of flower they would like to make. Today I am giving you the four different types of flower tracers in large and small sizes, plus a leaf pattern that I regularly use. 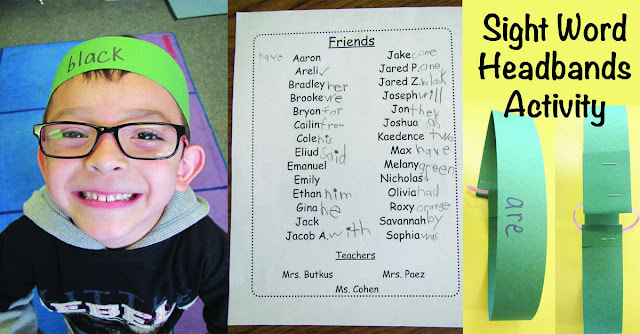 We usually do this as a joint project with our book buddies, and encourage them to be as creative as they would like to be. These are the rules: there are no rules! I put out hole punchers, crazy scissors, and lots of paper scraps in bright colors. I also give them some paper cut to the correct sizes for the different flower patterns, and some green paper for stems and leaves. I do give them some leaf tracers, but I also show them how to cut the corners off of a green rectangle to make a leaf with rounded edges. Having some very creative finished samples for them to look at really helps! So consider asking a fifth grade class to make some samples for you that include paper that is curled or accordion folded, etc. Layered flowers with three dimensional elements look wonderful, too! Sometimes, we even put stickers on them, but I prefer to just give them lots of different colored paper and plenty of time. We often do this project more than once in the spring time so that our class may be filled with flowers. I consider this to be a good use of time, since I am encouraging creativity here. Plus, the added bonus is that it really helps develop their fine motor skills. We also look at each one when we are finished and admire the elements of each one that we really like. Sometimes, having the children write about what their flower looks like is a good way to encourage descriptive writing as well. For example, they might write, “My flower is pink and blue. It has yellow dots and some curls.” Consider mounting the flower over their description and posting these papers in your classroom. Since my class loved the Shark Teeth Addition activity so much, I decided to do the same thing with an insect/springtime theme! 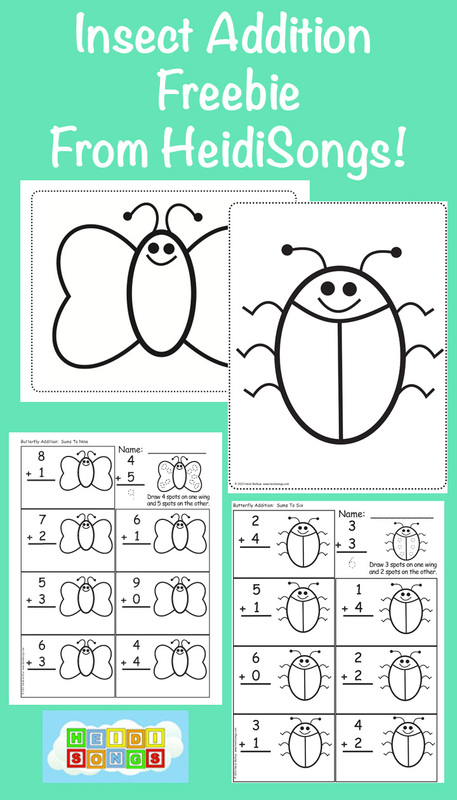 So I made a butterfly and ladybug addition worksheet to share with you today! 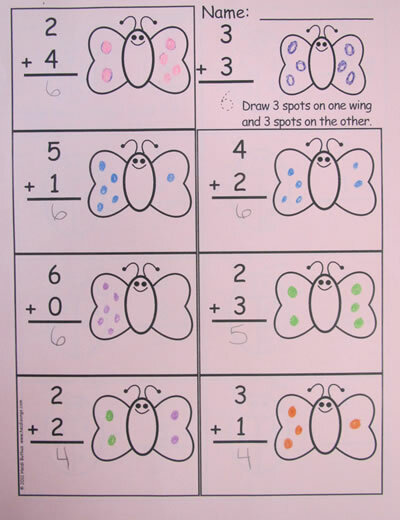 A teammate of mine at my school also shared with me one of her ideas for teaching addition, and I have a picture of it here for you, though not the master. She drew it freehand. 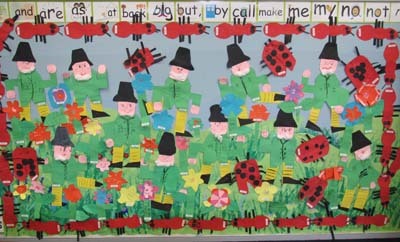 The children roll a die to get the correct number of petals on each flower, and then glue them on. 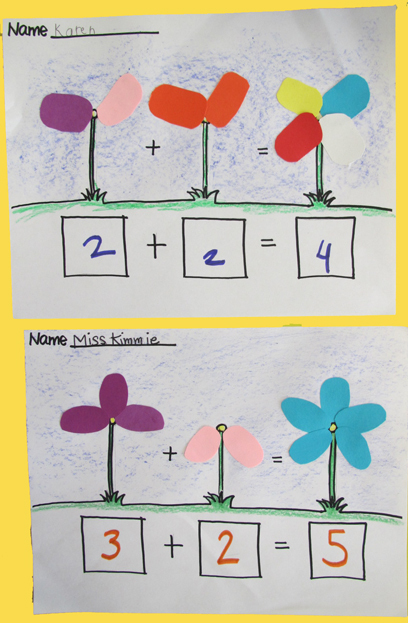 Then they create a flower that has the total number of petals at the end, and write the corresponding equation. It came out really cute! Well, last week I promised that I would give you another one of these water color resist activities with a St. Patty’s Day theme, and here it is! For those of you that are unfamiliar with this activity, what you do is simply take a white crayon and write a sight word in the spaces at the top. Then have the kids water color paint the paper any way they like, and the word magically appears! I always then drill my class on the words when the papers are dry. My kids love to paint these papers and lots of them choose to do them at playtime as well, so I always copy off enough for everyone to make two. Just got my set of the sounds fun cards. I briefly went over them with the kids before they left for Spring Break and their response was positive and encouraging. I can't wait to get started with them in this quarter and introduce them earlier next year. I am also anticipating the songs, Heidi! I hope workbooks are on the way eventually. I can't say enough good things about everything by you That I have tried so far. I am finally able to meet one on one with kids because the others are able to work independently on your worksheets and mini books and what not! Thanks so much for all you do! Earlier this year, one of my students brought in the book Library Mouse, by Daniel Kirk http://www.amazon.com/Library-Mouse-Daniel-Kirk/dp/0810993465 to share with the class. A mouse who lives in a library writes tiny books on paper that he's stapled together for the kids in the children's section, then encourages then to do the same by making them blank books. This was a new book for me, but one you all must read! My children immediately began asking for "Mouse Books" (little, pre-made, blank books) that I luckily had some in the cupboard left-over from the previous year, and we've been writing our own books ever since. 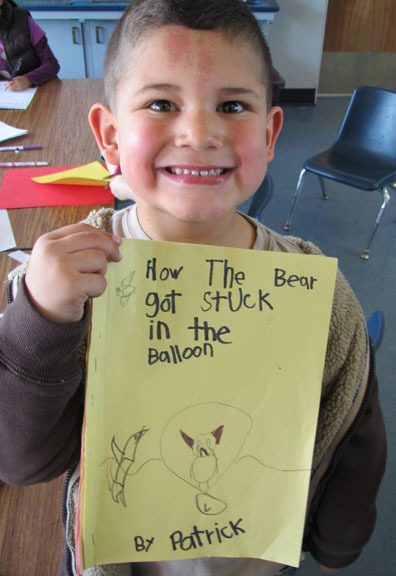 This is a great way to introduce book-making to a class. And, reading your blog post just reminded me that I need to buy my own copy of this great book! My teammate went to Kindergartend Conference. I did not know you were there or I would have sent her to see you:( We love your Gingerbread Man play and just bought your Wide Mouth Frog play for the end of the year. Oh well! Just know that I am one of your biggest fans in IL! Heidi, can you tell us what kind of watercolor paints you use? 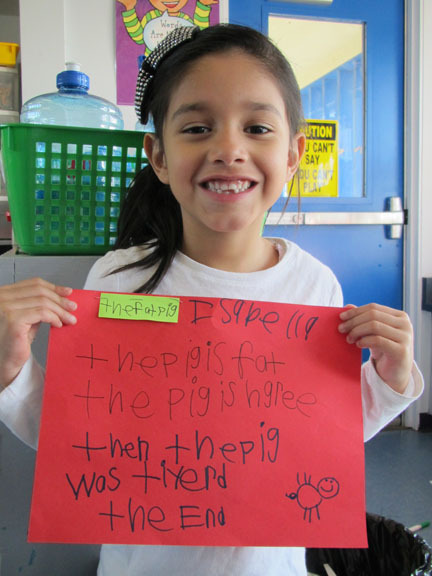 I use crayola and my sight word surprises do not look anywhere as cute as yours. The adorable picture of the little boy in this post shows his watercolor picture as being very vibrant and colorful and mine are drab and dull. Please enlighten me so I can order what you use! Thank you so much for all your free downloads. 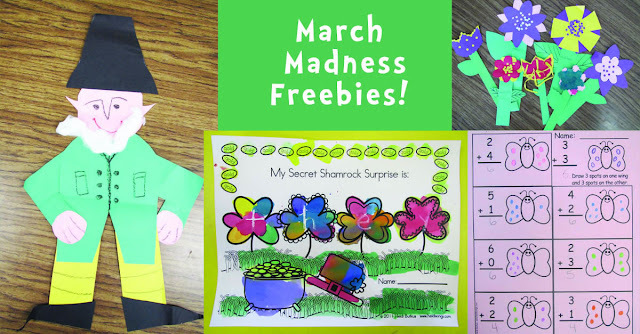 I was hoping you'd have a cute leprechaun art activity on this week's blog and yippee, you did! Can't wait to make them with my kids this week. You are too kind, Heidi. Thank you so much for all you do. I LOVE the Sound Fun cards and look forward to using the new songs in my class for next year! I can't wait to hear them. My class recently wrote sentences describing objects in photographs as living or nonliving, and I was so impressed that the majority remembered to use -ing at the end of "living" and "nonliving" while they were sounding those words out. I didn't even remind them! We enjoyed getting to attend your sessions at the Kdg. Conference in Schaumburg yesterday! 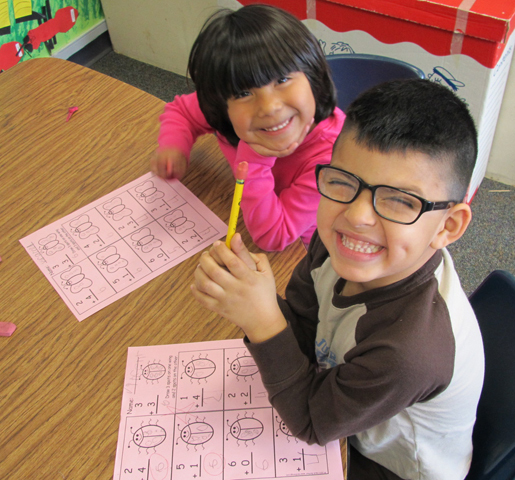 You really are able to fill a nitch in teaching K Kids! Thanks, Heidi! Hi Heidi - I just got my set of the sound cards. Can't wait to try them with my kids. The only sound I can think of that I do introduce my Ks to that isn't in the set is the "y" as "ee" at the end of a word (funny etc.) Have you tried that one? Yes, I have thought of that one, but I am just not sure of how to approach it. Is it always a two syllable word that ends in Y that makes it sound like an E? 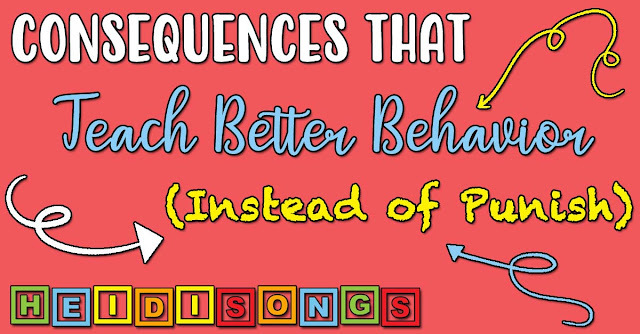 If I knew of a solid rule, we might be able to address it in song, at least! Most of the time, we use liquid watercolors from Discount School Supply. I think they are Colorations Brand. I also bought the little containers that with lids that are all connected with eight little pots for paint together. That helps them use them without needing to spill them out big paint dishes. You only need a little bit. The worst thing about them is (of course) the expense, and the fact that if someone dips a dirty brush into the yellow or orange paint, they contaminate it permanently and that's the end of that. So I don't fill the yellow paint container up very far. You also have to label the paint containers with the correct color word, because sometimes the you can't tell the difference between the colors until you get them on the page. I just ordered that Library Mouse book from Amazon. Thanks for the tip! I can't wait til it comes! It sounds wonderful. My kiddies are sure to love it. I also found one there called the Gingerbread Superhero, and I ordered that, too. Too much shopping! I noticed you ordered a book from Amazon - have you ever looked into the website http://www.half.com? Its like amazon but its mostly used and discounted books. Many times Ive ordered from there and the shipping costs more than the book itself! The kids then pick which leprechaun has the pot of gold behind them.